Day 4: Siem Reap – Departure. We will meet at the hotel and start the day to visit the city with Wat Phnom, Royal Palace and National Museum. After lunch, we will visit the Toul Sleng Museum and Killing Field which show you a lot about how bad the Pol Pot did with this country. We will take a flight to Siem Reap in the morning. Upon our arrival in Siem Reap, we meet up the guide and visit the Angkor Wat before watching sunset from Phnom Bakheng. We will spend our morning to visit Angkor Thom with the Bayon and also the jungle – clad Ta Phrom. 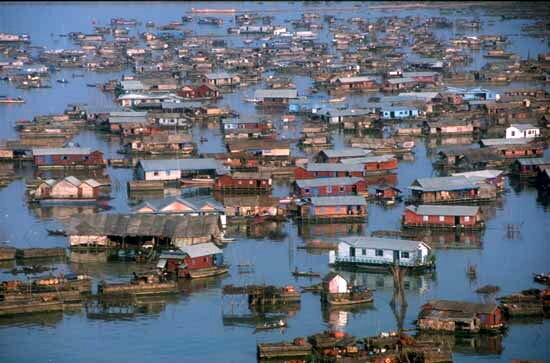 After lunch, we will visit Chong Kneas and some more floating village with the cruise on the great lake Tonle Sap. In the evening we will enjoy dinner with traditional dance show. We will have free day for relaxing and shopping until the transfer to the airport. Trip ends. + Flight PNH – REP: Price: USD116 net per person, includes all taxes and please note that the airfare is subjected to change without notice till ticket booked issuance.